Waterproofing your basement from the inside isa great option for certain houses, although wealways prefer to protect your basement fromthe outside unfortunately sometimes there is noother option but to waterproof from the inside. Waterproofing your basement from the outside is a great way to protect your biggestinvestment. Waterproofing is like putting a warm dry coat on your house and protecting itfrom our extreme Canadian weather. Here at Canada Waterproofers we have the Canada Goose of waterproofing methods, andguarantee your satisfaction with our lifetime warranty on our 6 stage exterior waterproofingoption. Dont settle for cheap low quality material, call us today to receive only thebest! Foundations that leak cause all kinds of damage to your basement walls, whether you livein an older, or newer home.If your basement is leaking you should think about having it repaired in the near future. When a basement is excavated, the soils that will be back filled around the new foundationwill be much looser soil than the surrounding undisturbed ground. The problem with thisis that loose earth will collect water much faster than undisturbed virgin soils. After thefoundation walls are poured and the ground is backfilled then that soil that surrounds thenew foundation will collect water and hold that moisture up against the new foundationwalls, this water accumulates and eventually will enter into the foundation walls as theyage and deteriorate. How can i stop my basement leaking? The only way to relieve this pressure is to install protective layers on the walls, and asystem of weeping tiles and sump pumps, so that this accumulation of water can be redirectedaway from the foundation and allow the surrounding soils to eventually dry andsettle. A leaking foundation may seem daunting to fix, but we can assure you with the right waterproofingmethod your basement will stay dry through the help of a series of foundationprotective coatings, and sealers, which will keep the water from penetrating your foundationwalls, weeping tiles will carry water away from your foundation and protect your basementfrom flooding in extreme weather, membrane will protect the wall from damage andkeep your waterproofing intact for a lifetime. which can cost you thousands in structural repairs.Maintaining a dry basement is more important than you think, as mould spores can travelthroughout your home and cause all kinds of health issues. Although a little leak may seam harmless, we can assure you that without the protection ofa proper waterproofing then that leak could be detrimental to your health. Waterproofing your basement from the inside is a great option for certain houses, although we always prefer to protect your basement from the outside unfortunately sometimes there is no other option but to waterproof from the inside. Many companies like to tell you that interior waterproofing is the best option, and they will tell you it protects your foundation walls from damage etc, but the truth is a little different.Although you may not have any other option but to waterproof from the inside, Here at Canada Waterproofers we always like you to go into your waterproofing project with your eyes open. Inside waterproofing will stop water from entering into your finished basement allowing you to enjoy a dry living space, but there will always be a little bit of water trapped behind the membrane, which will over a very long time deteriorate your walls. What not to do after interior waterproofing is installed. Using the wrong insulation and vapour barrier after a interior waterproofing is installed then you run the risk of condensation building up, which could mean mould behind your walls.We like to call this the mould sandwich. A mould sandwich is when you have two waterproof membranes i.e Waterproofing membrane and vapour barrier that don’t let moisture escape allowing your rock wool insulation to become saturated, which will turn to mould.So there you have it (Mould sandwich). Sorry we are not trying to scare you out of an interior waterproofing, and there are ways to avoid this situation and its very simple. After interior waterproofing is complete, all you have to do is have it spray foamed during the refinishing of your basement, yes its as simple as that “spray foam”.Spray foam becomes its own vapour barrier which eliminates that mould sandwich, so instead of having two waterproof membranes you get a continuous membrane, as the foam sticks to the waterproofing membrane and seals and insulates. Interior waterproofing has become popular in the last decade, as people are finishing basements more often in Toronto and the surrounding areas. Lot’s of Toronto homes have a very close proximity to each other and the only way to protect these homes is to install interior waterproofing prior to finishing. The average cost to finish a basement is around $50,000, and this is why it is very important to have your basement waterproofed prior to spending this kind of money.If a basement is finished with drywall ect and a leak occurs, not only does all the drywall have to be redone but also the flooring, baseboards etc so that all the mold can be removed. A new waterproofing system can then be installed prior to refinishing your basement.Refinishing would normally cost an additional $20,000 to $30,000. Interior waterproofing is much more cost affective than exterior waterproofing, so thats why many people opt for the internal option. Interior waterproofing ranges from $65 to $125 per foot, and the determining factors are concrete thickness, height of basement, amount of footage, commercial or residential, accessibility etc. The best way to find out how much a project like this would cost you, is to give us a call and you will receive a free onsite assessment. Insurance companies are great for many things, but if you mention to the insurance adjuster seepage or leaking after your basement gets flooded due to any type of leaking, which includes, window wells, cracked foundation that leaks, sump pump failure etc then your on your own.Give your insurance company a call to add extra coverage so that you can be more protected. Waterproofing your wet basement is an important part of protecting your home from water damage, mold, mildew and foundation issues. When water enters through your foundation it can cause some serious damage to the structure of your home, and pertencially cost you thousands in repairs that could have been avoided, call today and receive a free foundation assessment. Exterior waterproofing will stop all your leaky basement problems and leave you with a completely dry basement, which is free from mold and mildew. Canada Waterproofers can help you with your leaky basement, as we have been helping people in Toronto, Scarborough, Mississauga, Oakville, Brampton Vaughn, Richmond Hill, Burlington, and the surrounding areas for many years. Here at Canada Waterproofers we believe in using only the best waterproofing materials and products that are on the market. Our service is second to none and cannot be matched in quality and service by any other company. We believes that integrity and honesty is important, and that is how we run our business, and train our employees. We believe that anyone working at your home must be licensed and insured for the protection of your home.  We believe that a license is a guarantee that the contractor has had the correct training which is needed to install the proper waterproofing job, which is up to Toronto waterproofing, Mississauga waterproofing, Burlington waterproofing and surrounding areas building codes. A building code is put in place so that the consumer is protected from shoddy workmanship and potential damage to your property. Canada Waterproofers can provide you with the necessary credentials upon request. Canada Waterproofers are your local leaky basement expert, and can solve your moist basement at a reasonable price. Canada Waterproofers use only the best quality material such as, aqua block, delta MS drainage membrane, big o weeping tile with filter clothe, liberty cast iron sump pumps, yellow jacket, etc. We are always using the latest waterproofing technology to help keep your basement staying dry. We stand by our warranty. Good quality waterproofing contractors are hard to find and we recommend that you receive several quotes, so that you can compare different quality in workmanship and waterproofing materials that are offered within the GTA waterproofing companies. Canada Waterproofers will provide you with a 25-year fully transferable warranty, We believe that standing behind our warranty is very important so that you can enjoy your dry basement for many years.